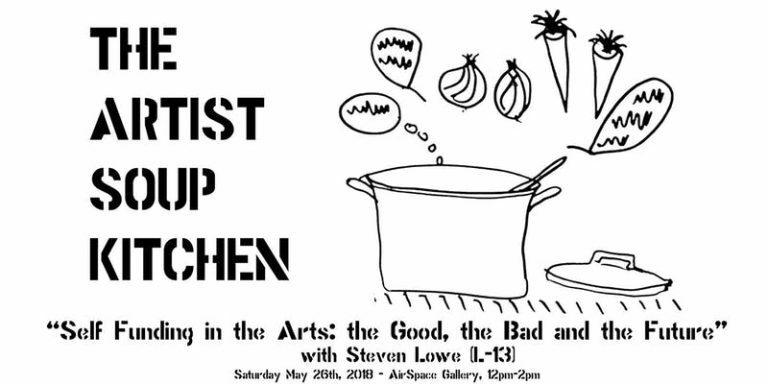 AirSpace presents the Artist Soup Kitchen – talks and workshops to explore support networks, good practice and sustainability of the arts and artists in a changing climate. Steve Lowe will be presenting L-13’s model of self-funding based on making and merchandising* as the basis of a discussion which seeks to develop new strategies on how to successfully fund a practice in the face of a never ending austerity. *Disclaimer – L-13 admit to one instance of receiving Arts Council funding. Seats at the Artist Soup Kitchen Table are limited, so to avoid disappointment, please book early, and only if you fully intend to attend. More details on the AirSpace page here.